Nothing too crazy went down for us last month, but I did have fun opening up a new 529 account for the youngest and plopping in $5,000 to help him catch up with his brothers… It turns out I picked the wrong day to start and I’m already down by $130 – hah! – but hey, what are you gonna do? It’s the time IN the market that counts – not TIMING the market! Heyo! THRIFT SAVINGS PLAN (TSP) (+$500.01): Another nice increase here as the wife continues to automatically invest without thinking about it… Looks like we’re getting close to her 2 year anniversary already, so you can see how fast it accumulates in a relatively small amount of time! Now over $12,000! ROTH IRAs (+$809.16): Nothing too crazy going on over here either, but better seeing green than red no matter what the amount :) Similar to the brokerage account above, as well as my SEP account – all $$$ here is invested in VTSAX w/ the exception of my wife’s IRA which is in a Target Date fund at USAA (for now). 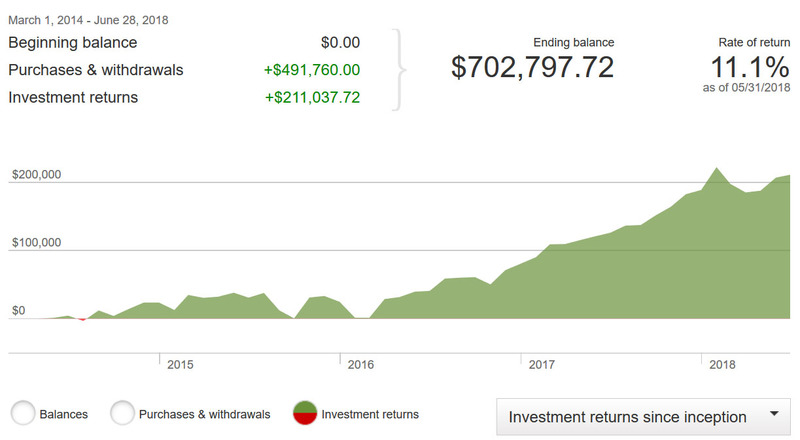 SEP IRA (+$3,271.64): Same going on here as above, only higher % gain since there’s more money sitting in this account… Cool to see the overall performance over the years since switching to Vanguard though! And then lastly, BABY NET WORTHS!!! Along with a pic, to put the #’s in better perspective ;) It doesn’t hurt as bad throwing money into accounts when you know who they’re benefiting in the end! Haha… Maybe we should slap pics of our kids on all our *credit cards* too to make us double think future purchases?! And that’s June! How’d you guys do? Anyone hit any good milestones? Slapping photos of our kids onto our credit card to prevent impulse and frivolous purchases sounds like a great idea hehe. YEAH! He just gave us a million dollar Etsy hustle idea and he doesn’t even know it! I love the idea of putting the kids pics on the credit cards! It reminds me of a story I read where a young woman wanted to put Terry Crews on her credit card, due to his role as a frugal father on Everybody Hates Chris. The bank refused,saying they needed his permission. She posted it on Social Media and Terry Crews came across it and gave her permission! Sounds like a great quarter overall! SHUT UP!!! That is awesome!!! Was just reading about him speaking out on sexual harassment stuff the other day – I was super impressed. Nice job! Pumped that you fueled the new baby’s 529 plan already, they’ll be thanking you much later on, for sure. Also – did you receive some nice quarterly dividends from the funds that you have? It was a solid month overall, on my end, as the employer I work for only matches one time in June for the 401k based on the salary from 4/1/17-3/31/18, so that was a nice jolt to the portfolio and forward income from it. Thanks again for posting and talk soon J.
I always forget to check dividend stuff on my funds, so it’s possible I got some! It’s all automatically re-invested. I was up for most of the month, but with the market going crazy, I ended up just a few hundred above last month. Basically, break even. I’m hoping the market will break out of its funk, and I’ll get back on track. Spending and net income are trending well, and the rest is out of my control. Keeping all that cash is a solid choice and seems good you haven’t gone nuts back into investments with uncertainty in the markets/environment. 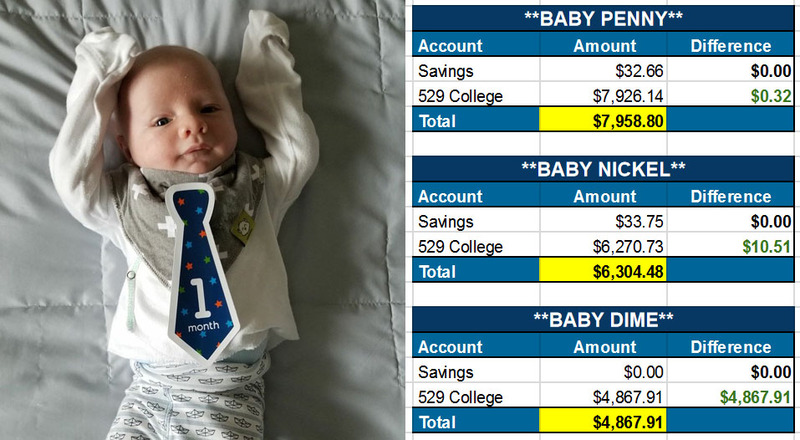 I’ve “only” put $250 into my 3-month-old son’s 529. It’s mostly money he’s made himself, though. Basically he got some gift money for his baptism, plus he’s taking part in a vaccine study (little guy’s already got a job!) and we’ve gotten paid maybe $125 for that. Since he earned it, I put it in his account. I think it is a HUGE ERROR to have 100% of your dough in one fund that only invests in US stocks. At last count there were 195 countries in the world. Some broad diversification would eliminate much of the systematic risk associated with what I contend is a narrow approach. I think you would be better off adopting a less risky strategy by buying Vanguard Total World Stock Index Fund Investor Shares (VTWSX). The 10 year compound annual return has been 6..2% (versus 10.33% for the one you are invested in). It’s only a matter of time that there will be a reversion to the mean in US stocks, particularly in the current geopolitical situation, with the Trump administration bent and bound to alienate every other country on earth. Totally – I think it is more risky to go all-in w/ U.S., but I also think it’s not *as* bad since the world is so united w/ businesses right? Admittedly I haven’t spent the time researching it too much though so I could be mixing apples with oranges here :) At any rate, at some point I will diversify more and go into some international as well as little bond action, but for now I’m content w/ the VTSAX approach. June was okay for us. Our networth looks similar to yours, flat… At least it’s not down. This is a great post. If my husband weren’t so private, I’d do the same on my website. I think it’s amazing that you are saving up for your kids. Mine are 9 & 13 and we’ve got a combined $45k-$50k or so in brokerages for them. We did not do 529s, because I am not sure they will want to go to college, so I wanted to keep it open in case they wanted to purchase a rental property or a business at 18 or later (give the $$ time to grow.) I am hoping they will both get scholarships to college. We just purchased an investment property and took a HUGE rehab loan, so our net worth took a big hit, but our goal is to pay it off in one year. Let’s see what happens! I looked at your other people’s money post. I love that. My favorite posts are income/expense/net worth posts. It gives me the ability to relate to the writers when I can see actual numbers. It’s also nice to see their commentary on what they think they are doing well, where the can improve, and so on. I also get to be super jealous when I see someone’s entire budget is less than my mortgage. My numbers probably aren’t as interesting to others now. I think they were more exciting last year when I was living in an apartment in DC and receiving per diem (travel expenses) in addition to my salary, Lady Kit was living in an apartment in Monterey, CA and no one was living in our house in SoCal (at least I hope no one was). We were also dropping 5k+ a month on Lady Kit’s student loans. Now we are just have normal DINK numbers. Net worth is creeping up, and even though it goes up and down, the more shares you build the great potential for it to compound. Man, seeing the spreadsheet for the babies makes it real that it’s a lot of work and financial responsibility! This year has been a tough year to make easy money. But tech has been good so far. Just hoping to and that you’re positive. Net worth basically flatlined. I had some cash put aside to buy things I needed, furniture and furnishings mainly, which I did so my cash is down a couple thousand, so the flatlined net worth is actually quite nice. I was expecting it to be down that much. Still settling in to my new abode and starting to throw more cash aside for some other savings goals. My emergency fund is at 3 months (yay!) and I’m pushing for 6 months now. My bestest, most favoritest news is I helped a friends 23yo son set up a Roth through Vanguard! How cool is that?!?!? We had an hour long talk on money, I showed him a compound interest calculator with bare bones numbers, and he was floored. 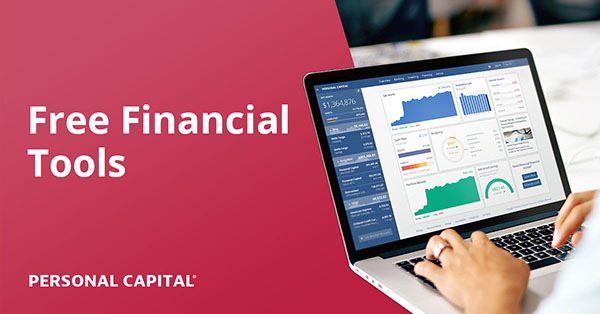 He grabbed his laptop, we moved some investments around in his 401k and then he got right onto vanguard.com. There is hope! We’ve had a couple small sales of clothes and on Craiglist, which is great. I’ve been agonizing over our money for a bit but I’m excited that I embraced a change in mindset this last weekend and can’t wait to write it up to share. Could the one account have gone down while the others didn’t due to dividend payments that went out in June? Just a thought though not sure if that would be the reason. Just hit the first 100K milestone myself so June was a month of celebration! As a hobbyist accountant, I’d love to see the Liability and Equity section of your balance sheet. You show the Assets here, but I can’t see the other side of the equation A = L + E. If your Liabilities are equal to 0, then it doesn’t make the story more interesting, but for your readers, many of whom this isn’t the case for, it might be insightful to see how the full equation works. 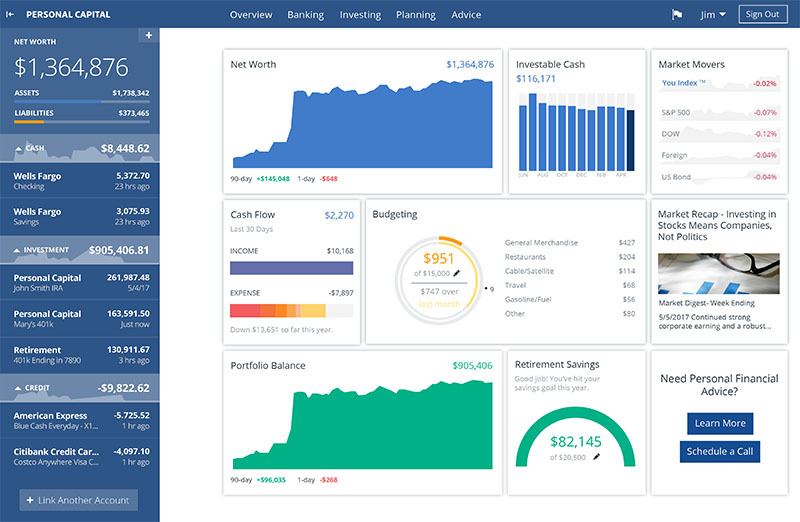 If you tracked both an income statement and a statement of cash flows, I think those would be interesting for readers to see also (for example, if you made $10,000 this month before spending $8,332 in expenses to arrive at $1,668 in net income before this would show readers how revenue is offset by expenses before the remaining net income converts to retained earnings helping to boost your Assets). The statement of cash flows would add more perspective, while showing that not all cash outflows are created equally — an expense (say a utilities payment) is significantly different from a conversion of assets (say a car payment) in terms of it’s effect on the balance sheet and, ultimately, one’s net worth [Note: a utilities payment decreases assets while assets remain the same for a car payment, though an interest expense will occur at some point on car payments). I’ve talked too much. I always enjoy seeing these posts. My net worth reached 6 figures last month, and a large part of that is due in part to reading this blog and realizing it is something that I should be planning and tracking. Thanks for your help! Agreed 100%! I used to share our full budget and expenses for the first couple years of this blog, but over time have stopped tracking every penny once we got a good handle on things (and once kids came into the picture too – hah!). To answer your question though, we don’t have any debts or loans or anything like that. We do pay off a credit card in full every month (which is accounted for here), but outside of that we’re 100% debt free. Good looking kid there, and he is lucky that his parents are already investing into his future. Looks like another awesome month, even if it was a bit uneventful. I was curious to why you keep a large amount of 75k in cash? Also, is real estate factored into your net worth? Keep on trucking to that mil! No real estate in our worth because we happily rent! Previous post: Health vs. Wealth – Which Goes First? Next post: Favorite Financial Nuggets This Month!